Following some rumours, the official lineup for the Super Bowl has finally been made public by the NFL. Indeed, Maroon 5 has been selected and they will be joined on stage by Big Boi and Travis Scott. Expected to take place on February 3, 2019, the Super Bowl is the annual championship game of the National Football League. Considered as one of the most watched shows in the US, its half-time lineup is now known. 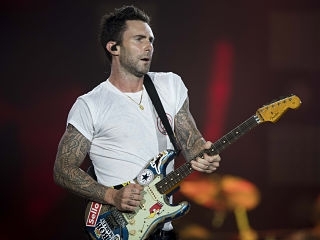 Indeed, Maroon 5, with their lead singer Adam Levine, will be the main act at the Mercedes-Benz Stadium in Atlanta. Mostly known for being a member of Outkast alongside André 3000, Big Boi will be joining Maroon 5 at the upcoming Super Bowl. Also expected to be one of the performers is Travis Scott. The latter has been nominated six times at the Grammys and his most famous songs are ‘Sicko Mode’ and ‘Antidote’. There are a couple of football teams who still stand a chance at winning the Super Bowl LIII. These comprise the Saints, the Eagles, the Rams and the Cowboys. Furthermore, the event also results in the most expensive advertisements because of the high viewership. Performers who appeared at the half-time shows in the past include Beyoncé and Janet Jackson. Famous for their singles titled ‘Moves Like Jagger’ and ‘Sugar’, Maroon 5 is an acclaimed band, having received three Grammy Awards. Aside from Adam Levine, its members are Jesse Carmichael, Mickey Madden, James Valentine, Matt Flynn, PJ Morton and Sam Farrar.